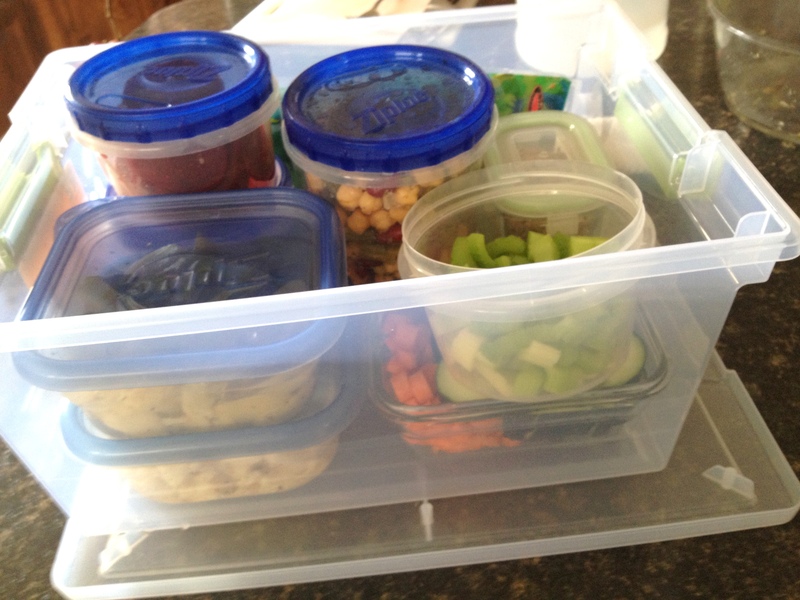 make your own salad bar! I love a salad bar as much as the next self-respecting veggie, but a) going out to lunch is expensive, and b) salad bars seem so germy! Shudder. What I love about them, though, is having all those OPTIONS. It is so much more fun to compile a salad with dabs of everything, isn’t it? It fits nicely on the bottom shelf of my fridge so I can just grab the whole thing in the AM, and assemble a salad superquick. I even made some fast side salads with dinner during the week with it. Mix-and-match! Notice just above, I pre-washed varieties of greens and mixed them together in a plastic container (the kind you buy bulk spinach in – just wash between uses). With a few paper towels in there the greens stayed fresh all week. 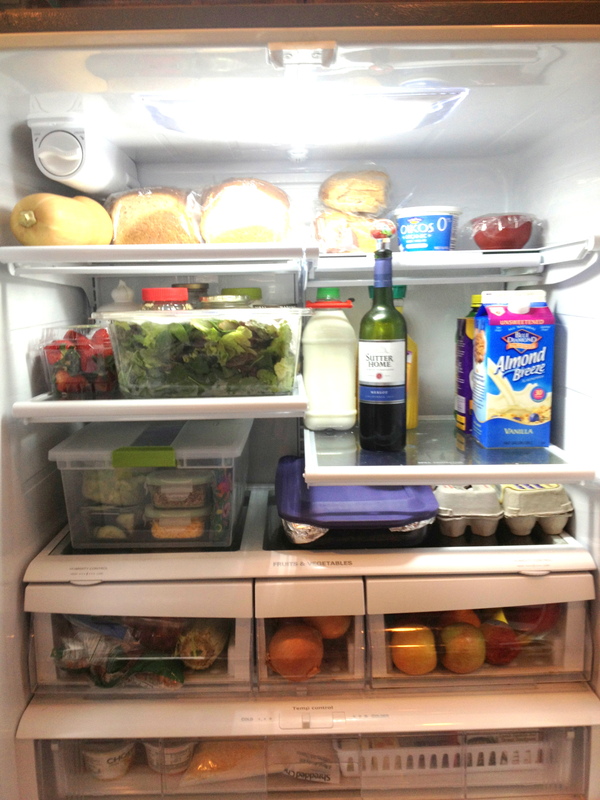 Do you love seeing what’s in people’s fridges? Welp here’s mine just for fun. 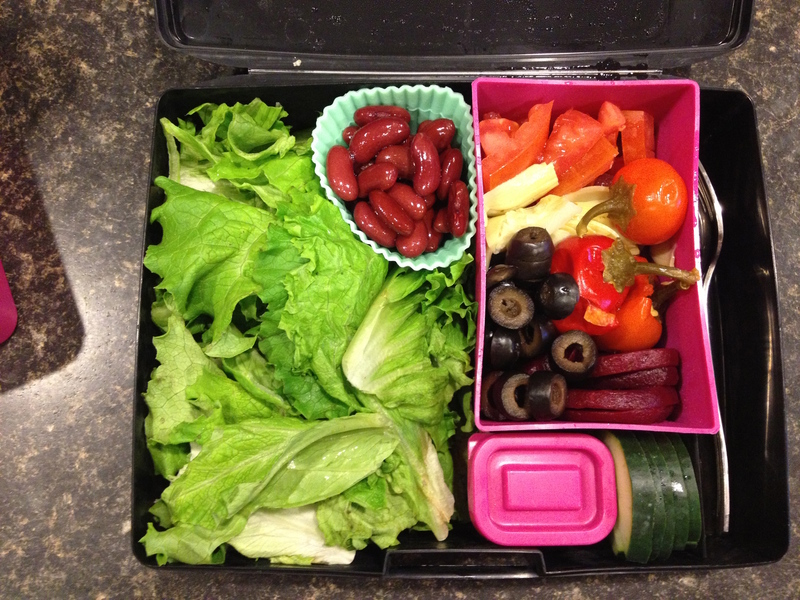 I use a bento box or a large, flat glasslock container (depending on what’s clean) to pack my salad. Then all the juicy stuff stays separate until ready to mix together and eat! 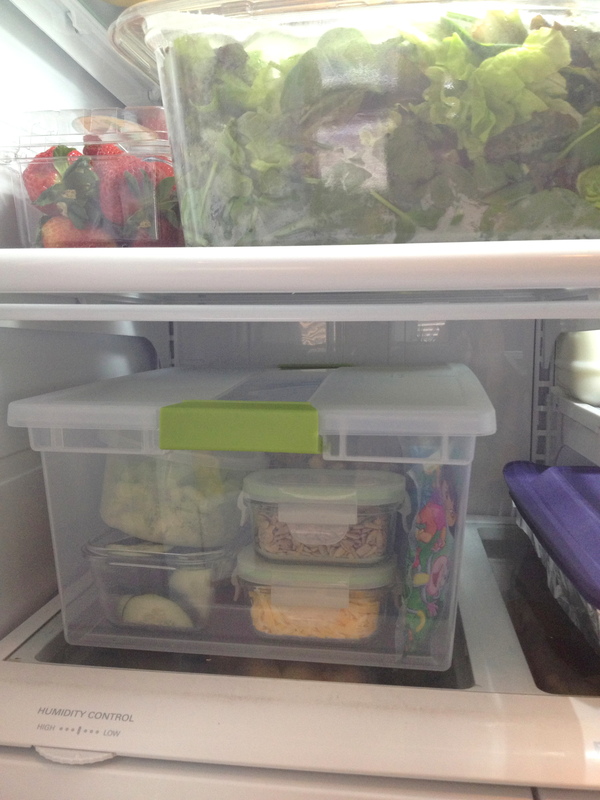 I use silicone cupcake cups, small jars, etc in addition to the little plastic bento containers. It’s like food Tetris! Have fun playing with your food! You’re very brave posting the inside of your fridge. Mine’s too untidy. Brilliant, about the spinner! Thanks for the comment, and I am SO loving your blog! Awesome! Previous Previous post: stretch that makeup budget with some mixology. Next Next post: diy deodorant.. no, seriously.